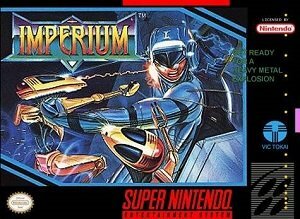 The following are known Pro Action Replay Codes for Imperium on Super Nintendo Entertainment System (SNES) All codes have been tested on on real SNES hardware. Question : What is A Pro Action Replay ? Question : Do the Imperium snes cheats Cheat Codes Only Work In The Snes9x Emulator? Question : I know a good cheat for Imperium snes cheats that is no listed on this page, Can you add it. I hope this article on Imperium Cheats + Action Replay / Game Genie Codes has helped you. If you are aware of any tips I have missed off please post about them in a comment below. Please help us out by spreading the word and sharing this article on Imperium snes cheats (SNES) Cheats + Action Replay below.